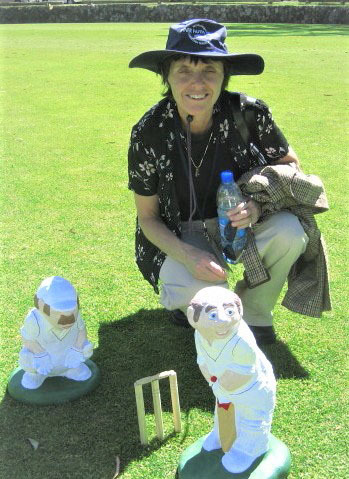 The cricket ministry developed smoothly and without a hitch. 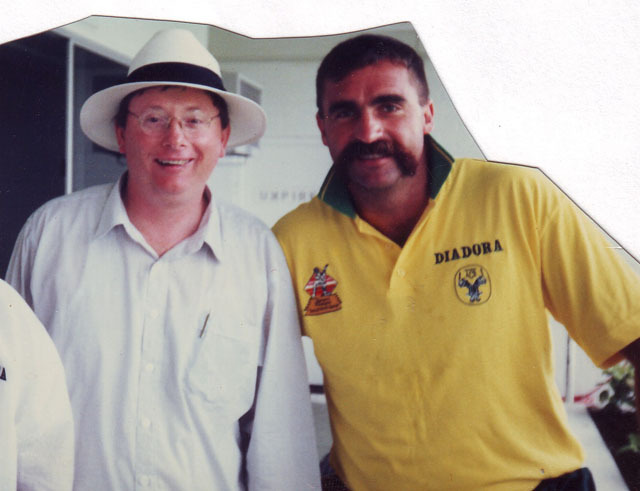 It was only years later, that I discovered the reason for this smooth acceptance of chaplaincy, when I realised in the late 1990s that Denis Rogers, chairman of the Australian Cricket Board (ACB), would introduce me as "the Cricket industrial chaplain". The original letter setting out cricket chaplaincy was on InterChurch Trade and Industry Mission (ITIM) letterhead as this was the original mission through which I established the sports ministry (I served as the Shell Australian chaplain for 2 days a week over 12 years). 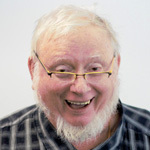 Denis Rogers, the Tasmanian representative on the ACB and associated with Hobart Baptist Church, was conversant with this chaplaincy model and translated it to the sporting arena. The 1984 ACB letter adopting chaplaincy spoke of the value of chaplaincy, that I was recognised as the cricket chaplain and that its careful development was in my hands. Mr Bennett suggested that another good supporter of the cricket ministry was fellow ACB board member from Sydney, Mr Allan Crompton (who subsequently followed Fred Bennett in the chairman's role). Indeed he was, and he was active in addressing sports chaplains' functions and attending national chaplains' dinners. It was he who invited me to the Cricket Centennial Dinner and placed me with Mr Basil Sellers, who in turn financially supported the athlete respite centre in Moruya and our family faith living, all of which can be read in Mr Basil Sellers' book, 'From India with Love'. Delma my wife says the secret of my cricket ministry was that I turned up without fail. We developed a formula of travelling four times each summer with the team to the training sessions and the first day’s play. I was present on the first day of play, and was always available for home pastoral visits and all year round pastoral care, all around the nation. I would often as their ‘pastor’ visit them in their homes or their work place. In those early years, I appointed chaplains to each Sheffield Shield State Team, with those initial early '80s chaplains setting up their ministries in such a way that those who followed settled in very smoothly. Barrie Sutton (Victoria), Barry Ryall (Western Australia), Russell Hinds (Qld) and Greg Shaw (South Australia) played crucial roles in this. I was in NSW at the very start then an appointment followed. Over a seventeen year period, to the end of 2000, I saw five generational changes of cricketers in the Australian team. When I moved sideways to the ministry 'Life After Cricket' in 2001, it was a natural extension of my relationship with retired cricketers. For example, the editorial team of my bi-annual newsletter for retired cricketers consists of Allan Border, Phil Emery, Jason Bakker, David Boon, Greg Chappell and Kim Hughes. In 2007 I initiated 'Cricket Family Respite' which incorporates the Basil Sellers Tweed respite facility for use by the cricket fraternity and from 2011 Laguna Quays Respite. I discussed this name ‘Cricket Family Respite’ with Allan Border and decided it was an apt name for the ministry. The miracle of this cricket ministry was its foundations, with the firm backing of those who understood the industrial chaplaincy model and applied it across the board, a hallmark. My commitment to this particular sport has been buoyed up and supported by the Lord's guidance, and has enabled me to receive much support especially the travel costs by Mr Basil Sellers AM.